In preparation for the coming celebration of Christmas, arguable the second most significant celebration in the year, Read Matthew 1 and see how many of the following questions you can answer. If you have questions or are unsure of something, please post a comment. What horrible news does Joseph receive in Matt. 1:18? How does Joseph come to terms with Mary’s pregnancy according to Matt. 1:19-25? Read Luke 1. According to Luke 1:26, who came as a messenger from God to Mary? Where was Mary living at the time of this story? To whom was Mary betrothed? Of what lineage was her betrothed? How does Gabriel greet Mary in verse 28? What is her reaction in verse 29? 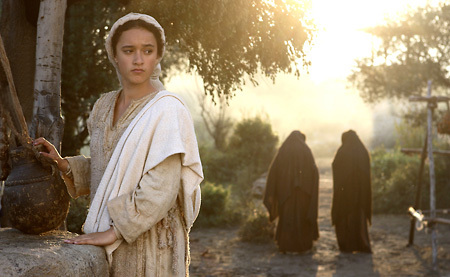 For what job has Mary been chosen according to verse 31? How does Gabriel describe Jesus and what He will do in verses 32-33? What is Mary’s very practical question in verse 34? What is Gabriel’s response in verse 35? What separate proof of the authenticity of his message does Gabriel offer in verse 36? What is Mary’s response to the message from God through Gabriel in verse 38? Who does Mary go to visit during her pregnancy according to Luke 1:36-41? Why? What happens to Elizabeth when she hears Mary’s voice? Why is that significant?